It’s very difficult to make any decisions connected with currency trade while expecting one of the most important macroecomonic indicators, Nonfarm Payrolls, to be published. Judging by Forex Calendar, the previous value was -54К; the predicted value is +5К and it can boost Dollar quite a lot. Also one has to take into account that by the time of yesterday’s evening and today’s morning, the signs of trend reverse have appeared in case of some currency pairs. However, we should not expect any significant movements until the indicator is published. Probably one of the best decisions is to stop trading at all, see what will happen at the currency market, and start trading on Monday. According to eur usd technical analysis, in case of the EUR/USD currency pair we have “head & shoulders” reversal pattern forming, which can be the start of the price movement into the area of 1.3720 where we will consider buying the pair with the target of 1.4079. The stop must be above 1.3970. 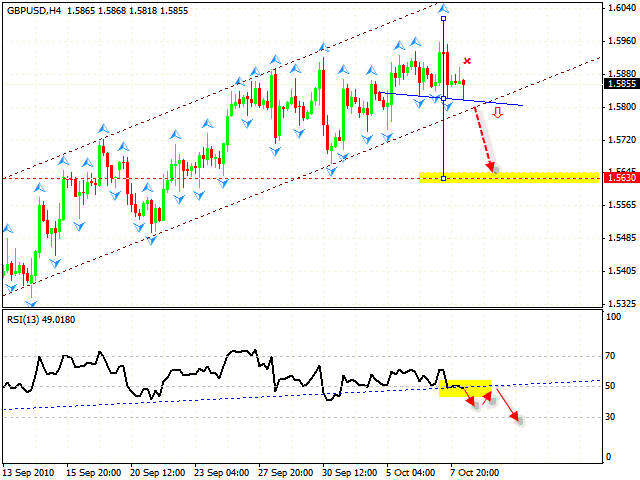 In case of the GBP/USD currency pair the situation is similar. After yesterday’s pattern has been completed, we can see the formation of the reversal pattern with the target in the area of 1.5630. 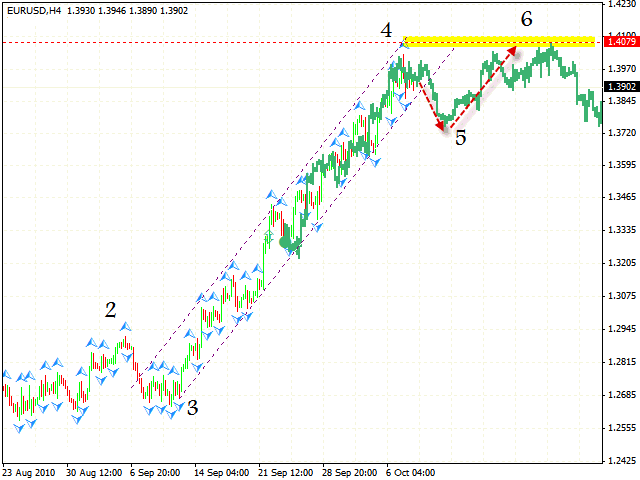 Judging by gbp usd analysis, you can try to sell the pair when the neckline is broken. The stop must be above 1.5910. Breaking the trend line at the RSI will be an additional signal for sales. As an alternative, one should consider breaking the level of 1.5910 resulting in the price movement into the area of 1.6100. 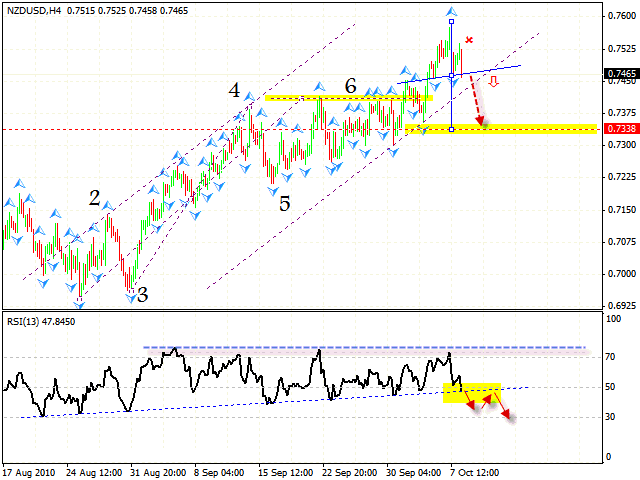 One can also try to sell New Zealand Dollar with the stop above 0.7530 and target in the area of 0.7338. As we can see from technical analysis nzd usd, the RSI forex online indicator is testing the trend line for the 8th time. In case the trend line is broken, the price will be able to go downwards. As a back-up plan we should consider breaking the level of 0.7530, in this situation the price will start rising into the area of 0.7625.